Leading Manufacturer of earthing electrode, chemical gi earthing electrode, earthing pipe electrode, earthing pipe and petrochemical industry copper earthing electrode from Noida. JMV is the leading manufacturer and supplier of earthing systems used in various industries. 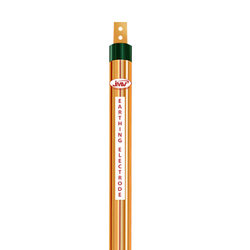 JMV is specialized in India in Earthing Electrode Pipe that provides everlasting solutions for your earthing system. Our safe earthing electrode make sure that they operate effectively during a fault and safeguard personnel, property,electrical installations and electronics appliances. We are the leading manufacturer and supplier of Chemical GI Earthing Electrode used in various industries. These earthing electrodes are manufactured by high grade raw materials and by officials are expert in their field. We follow strict measures while manufacturing earthing system. Owing to this we have received ISO, CE, UL, CPRI, ROHS certificate for the quality of our products. JMV is the leading manufacturer and supplier of earthing systems used in various industries. 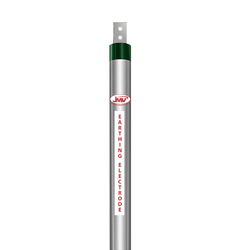 JMV is specialized in India in Earthing Pipe Electrodes that provides everlasting solutions for your earthing system. Our safe earthing electrode make sure that they operate effectively during a fault and save both human lives and electrical and electronics appliances. We are the leading manufacturer, supplier and exporter of a premium range of Earthing Pipe in India. These are manufactured from state of the art technology and high grade raw material. Our products meets all national and international standards and are highly liked by our valued buyers. Looking for Chemical Earthing Electrode ?